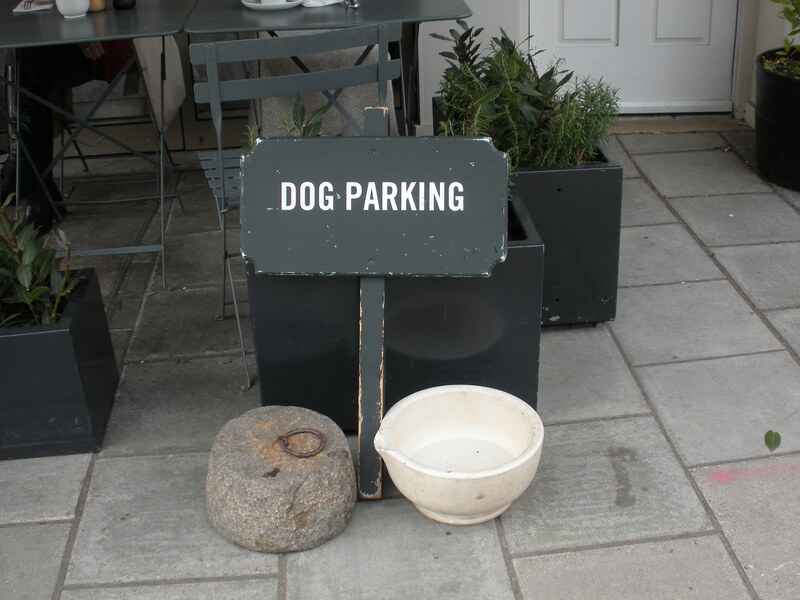 An enticing perfume welcomed us as we approached the tables outside Daylesford in Pimlico road: at first, it was hard to say if it was a shop, a grocery store, a bar or a restaurant. We arrived very hungry on Saturday for a late lunch and were still confused by the large fridges and vegetables display racks in front of the main door, when we luckily found a place for two, sharing a big table with other people. Upstairs, an open room hosted the tables on one side, while the in the other half were the bar and expositors full of items for the kitchen. Although there was no sun that day, the venue was very bright, thanks to its white marble floors and beech furniture, which gave us a feeling of healthiness. We read a row-paper menu while a brown-and-white-dressed waitress brought us an organic beer and a bottle of purified still water. All the ingredients came from the Daylesford farm in Gloucestershire, which made us impatient to taste those promising dishes. We ordered a bowl of baked potato wedges to share, a grilled beef burger with tomatoes, red onions and Daylesford cheddar for my partner and a smoked salmon topped with crumbled hard-boiled egg, capers and chopped onions for me. The portions were very big and both the meat and the fish were tasty. I enjoyed the yogurt sauce and the slices of brown bread with dried grapes that came with the salmon, and we also asked for some additional white bread to accompany the burger. Tempted by other customers’ inviting creamy cakes, we eventually shared a piece of almond tart that cheered us up. Prices were £10 pound for each main course, £3.50 for the potatoes and £6 for the dessert. Though we really appreciated both the venue and the dishes, it was overall an expensive lunch, as we spent £45 – tips included. 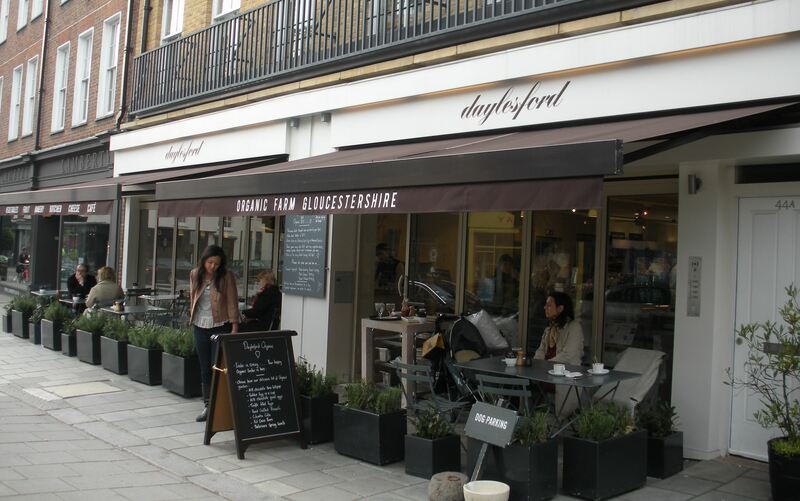 In addition to this branch, the company owns the Daylesford farm in Gloucestershire, where is another restaurant that organizes cooking courses and other activities, plus another bar and grocery in Notting Hill and also a corner at Selfridges in Oxford Circus. On our way out, we had a tour of the food store and couldn’t resist buying a chocolate brownie for the mid-afternoon snack.